Now that school is over, I am determined to get this house tidy and looking good. After working in the yard for a couple hours, I realized I need more magnets to hang all the stuff on my fridge! 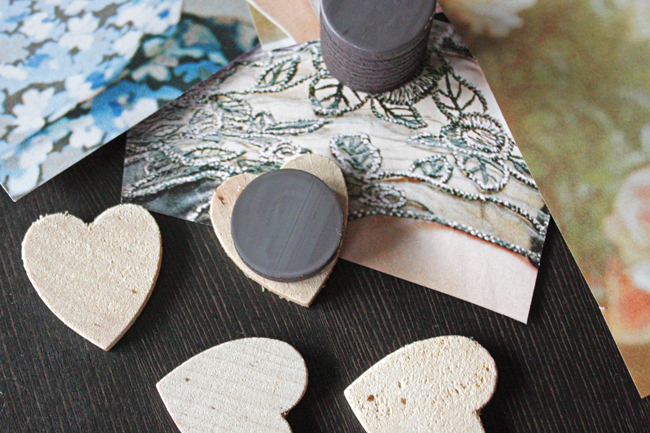 After rummaging through the boxes with my craft supplies, I thought these little wooden hearts would be perfect! I'm very happy with how they turned out. 1. Look through old magazines, and cut out patterns that you're drawn to. If you have pretty paper you can use that as well. 2. 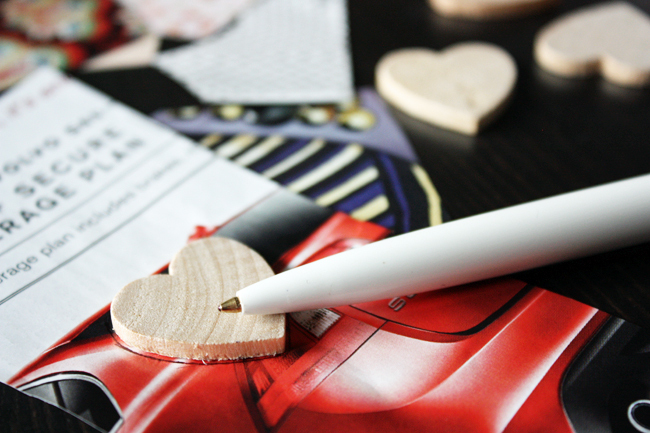 Place a heart on the back side of paper, and trace. 3. 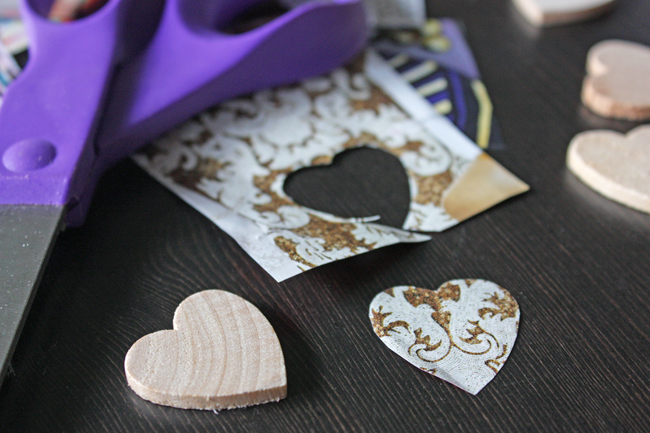 Cut out traced heart. I find that cutting slightly on the inside of the pen line works best. 4. 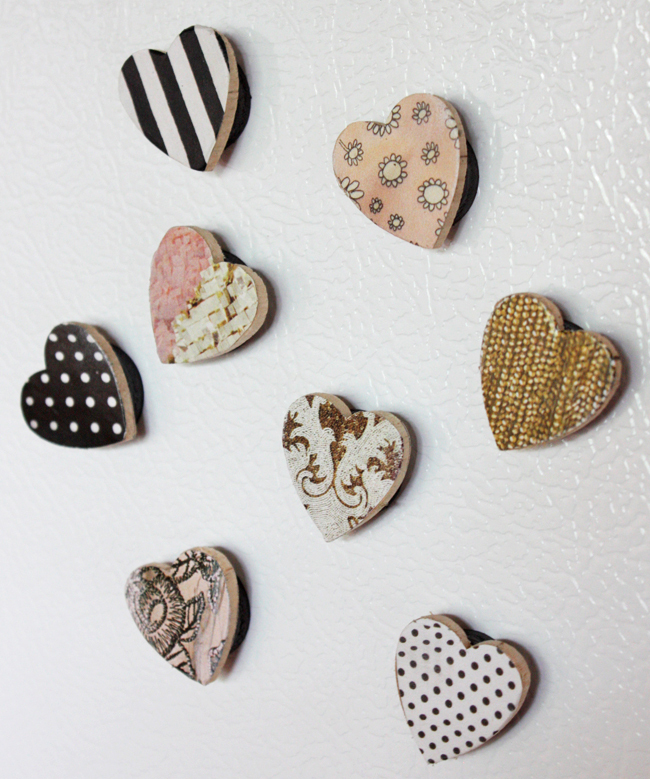 Glue pattern to heart, then glue magnet to the back of the heart. 5. 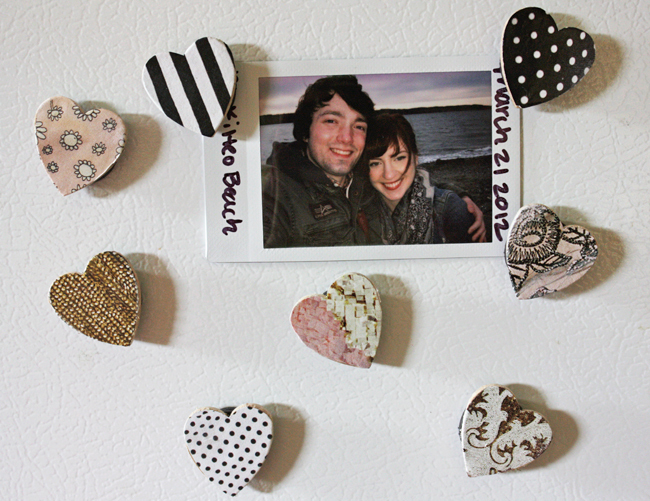 Place on fridge or other magnetic surface! o0o I love these! i have been wanting to make some magnets like these only with buttons. This was very creative and cute :) I may just do my own!